What was he like, this person whose own wife called him “that elusive, unforgettable man”? The Jack Kennedy you discover here wanted never to be alone, never to be bored. He loved courage, hated war, lived each day as if it were his last. 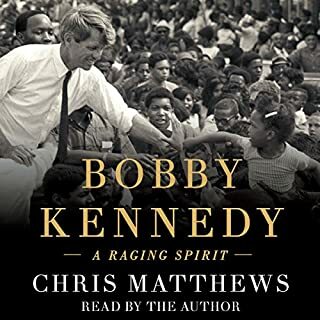 Chris Matthews’ extraordinary biography is based on personal interviews with those closest to JFK, oral histories by top political aide Kenneth O’Donnell and others, documents from his years as a student at Choate, and notes from Jacqueline Kennedy’s first interview after Dallas. You’ll learn the origins of his inaugural call to “Ask what you can do for your country.” You’ll discover his role in the genesis of the Peace Corps, his stand on civil rights, his push to put a man on the moon, his ban on nuclear-arms testing. You’ll get, more than ever before, to the root of the man, including the unsettling aspects of his personal life. Chris Matthews creates an excellent portrait of JFK with great nuggets of independent research. 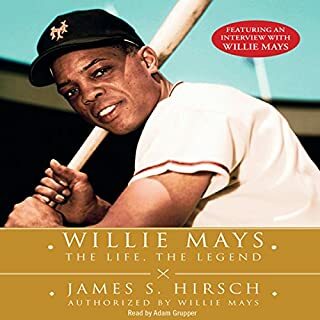 Well written, the book provides a superb view of a man and his time. Timeless political lessons are presented which have relevance in today’s “flat,” Internet fueled world. The blend of historical fact and appropriate interpretation makes for a story that can’t be put down. It is clear that the author knows his stuff . . . and how to tell a story. GREAT book. Unfortunately the narration contains several “ouch” moments. It seems that nobody took the time to “proof” the final product. Butchering names such as Harold Stassen, Averell Harriman, and Bernard Baruch show that the narrator and production supervisor weren’t alive when these were household words. IMHO Chris Matthews would have been much better off reading the entire book himself. He did an excellent job narrating the introduction and should have finished the job. Certainly he’d have known how to pronounce the names properly. Chris Matthews, Knock it Out the Park!!! My fanscination with Kennedys over the years have always been something I love to explore. This book DID NOT disappoint me, it's very insightful and very well done. I have a better appreciation for Jack Kennedy for all he endured. He was one of our greatest american presidents that's for sure....an ELUSIVE HERO. 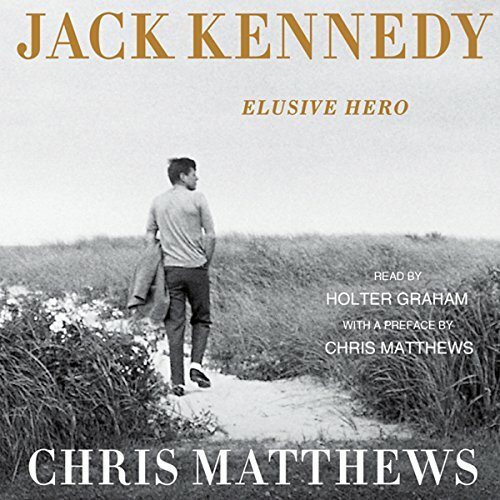 Would you consider the audio edition of Jack Kennedy: Elusive Hero to be better than the print version? Yes. Like most people I enjoy reading, and am often startled that the narrators do not sound like the "voices in my head" that my imagination conjures when I read. When I began listening to this I was expecting SCHOLARLY bass. But Holter Graham fits the era of the Kennedy administration, who were very young in comparison to the politicians of the time, and presented themselves as youthful and idealistic. Once I adjusted to the narration I loved it. What was one of the most memorable moments of Jack Kennedy: Elusive Hero? There were several moments: that the stories of Joe Kennedy's heavy hand was not a myth, that Jack Kennedy was always in pain and struggling with health issues while presenting his comparative youth as an asset thus presenting himself as athletic and energetic, the moment when I realized that it is impossible to tell if John Fitzgerald Kennedy was idealistic or just practical. Holter Graham does an excellent job of the different voices in Hunting Ground and Cry Wolf. He moves from Native American male, middle eastern male, middle America female beautifully without pulling the listener from the book and thinking "wow he's really good at that". And more importantly the listener doesn't think "meh, no one sounds like that". This book is obviously very different from those novels, and he handles straightforward narration well. This is a biography of someone who has been written about more than any politician in recent years, so there was nothing so new that would rise to laughter or tears. It would be a rare person that didn't know exactly how tragically this ends. The important thing to know about this book is that it covers the early years of Kennedy's life, which allows the reader to see that there is a consistency in Kennedy's presentation of himself both as an "Irish mucker" in prep school, and an astute observer of national and international issues while still an undergraduate at Harvard. 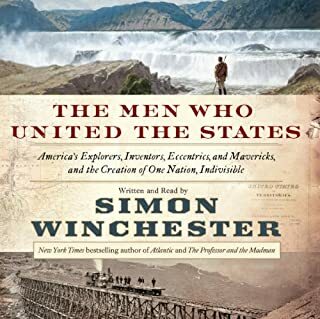 Unlike some books that boost sales by concentrating only on the days before, during and following the asasination, or even just the presidency, this one shows the reader how the core people loyal to Kennedy and he to them, became a team. Still I agree with earlier reviewers that at the end of the book we don't really know what Kennedy was like, which is John Kennedy's own criteria for a good biography. But the book is worth reading because it places all aspects of his life in context. This is a well written bio. World and American politics. you get a glimpse of the boy, the young man, and things I did not know about his lifelong health problems. This is no a tell all but interesting insight into how he thought. Plans he made. I have never read a book about Mr. Kennedy I enjoyed more. If this writer is to be believed he was alot more savy, well rounded than most portrayals. I hope you will give it a chance. This is the third book I have listened to by Chris Matthews. The other two were Tip and the Gip and Bobby Kennedy. Chris is a great author who makes you feel as if you are a part of the situations that the book centers on. 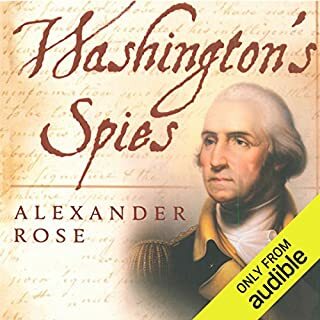 Anyone who loves history should listen to this book. It is a great companion to Bobby Kennedy. Would you listen to Jack Kennedy: Elusive Hero again? Why? I'm not sure as the narration by Holter Graham was so poor as to be distracting. As someone who was a young adult when Jack Kennedy was President, I found Mr. Graham's attempts to react JFK's accent surprisingly off the mark. (Unlike Craig Wasson's rendition of JFK in 11.22.63 which was uncannily accurate!) 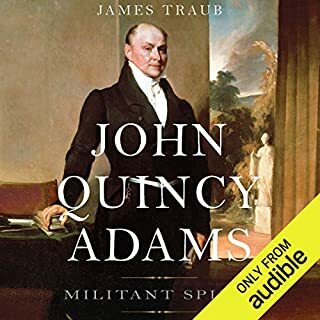 Names of important people of the time were also improperly pronounced which is inexcusable for a narrator..
Mathews did his homework and gave the listener an in-depth sense of who JFK was--his strengths and weaknesses and made it very interesting. JFK came more to life as a deeply troubled and gifted man--more than anything I had ever read before. What Do We Want From A President? I was born 9 years after the death of President Kennedy. Having recently read Stephen King’s new novel “11.22.63” I was interested to take a closer look at our 35th President. I’m not an ardent Chris Matthews fan; while I tend to lean to the left, I find his show to be a little one-sided for my taste. Since I know he is a huge fan of this President, I wasn’t sure if the book might be a bit one sided as well; but it was not. It was a fascinating look at a very multi-faceted politician. What do we want from a President? I thought I had a general idea of what *I* wanted, but this book made me question a great deal of my previous beliefs. 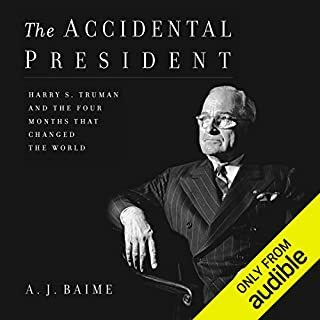 For me, this book crystallized the idea that when it comes to the Presidency, perhaps some of the same qualities that I might normally consider unpleasant actually contribute to someone being an effective leader. I ended this book with a lot of new questions about my own opinions and beliefs, and I think that’s never a bad thing. While I have always liked books narrated by Holter Graham, this book was not meant to be read by him. It was meant to be read by Chris Matthews, who wrote the book. I have no idea why Mr. Matthews did not narrate (he did record the forward to the book) but it was to the books detriment. In short, I learned a great deal and the book gave me a lot to think about. I recommend it heartily. Wish they had discussed the death of the president and aftermath of his death more. It seemed they rushed at the end. I am a real fan of JFK, so I was predestined to like this book. The book is well researched from the outside, which gives the book an interesting perspective of JFK from many external angles. It does not have much first hand material, but it has a lot of material from many other sources. I found the writing compelling and would recommend this to anyone interested in JFK or his times. There were a number of aspects of the story that were new to me and were presented powerfully. I got the feeling that Matthews modulated his opinions of JFK as his research uncovered the less admirable aspects of his subject, yet, in the end JFK remains a hero.